Thanksgiving has officially kicked off this year’s holiday season. But the season has just begun. There are more to expect as Christmas and New Year approaches. Your efforts should continue if you want to maximize the huge sales that you can realize over the holidays. A call-to-action is a persuasive nudge as to what you want your customers to do. CTAs are very important and form part of the design as they usually come in the form of buttons. Your CTA buttons should be very visible, and so the colors should be set to contrast the rest of your page. Also, they should be placed in strategic areas of your page. White space or negative space refers to blank areas of your page. The more crowded your page is, the less white space there is. Your site should also have enough white space for your content to breathe, and so that they feel and look more organized. It can help your audience a lot if your site is easier in the eye. And for you, this can help you deliver your message more effectively as it would be comfortable enough to read. The design is not all about the looks. It also involves your site’s performance and functionality. Navigation is a key aspect of your site’s design, and it should be your goal to ensure that your site is very easy to navigate. The key is to choose a simple navigation scheme that will work to ensure that it is very easy to go around your site. Also, if possible, do offer the search functionality. This boosts your navigability by a huge margin. The aim is to have as few clicks as there can be before your customers can get to their desired page. With search, users who are aware of what they want can simply just key in their search, and they would be directed to where they want to be. About one of the most underappreciated element of your website design is how you have set up your communication channels. 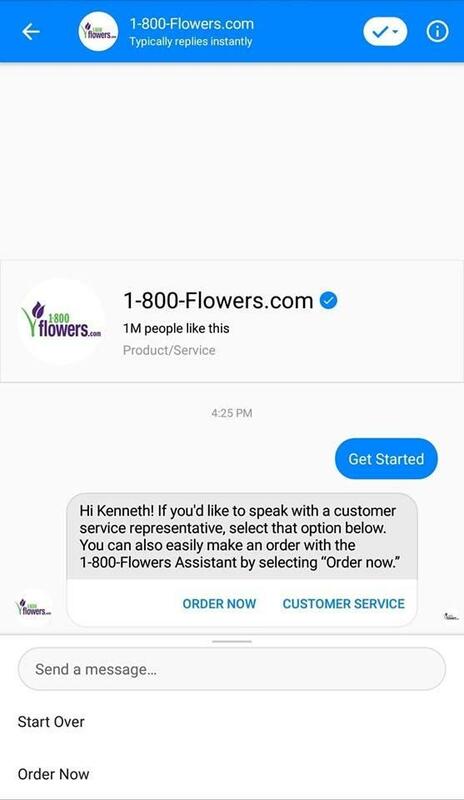 There’s a growing demand for the live chat now, and while you may not be able to support a full-functional customer support team, you may be able to provide chatbots to answer basic inquiries and concerns. What’s great about chatbots is that it’s available 24 hours, that it is dependable, and that it’s very affordable. With these 3 in place, there’s not much reason for you not to have chatbots on your site as part of your design. With the holidays around, you are bound to get huge inquiries so make sure that your chatbots are geared to address a lot of inquiries. You should further ensure that your checkout process is a simple task. A lot of cart abandonment is happening because there are sites whose checkout process can be very complicated. Also, allow your shoppers to checkout as guest when they do not want to sign up. So ensure that you have a simple checkout process in your site. And always be transparent with the costs, including the shipping fee. Your customers would hate hidden charges, so it’s best to present them all the charges involved in their transaction. Finally, you should make sure that the overall look and performance of your site is optimized for whatever device it will be accessed from. This is most especially true now that a lot of users are on mobile. And you should be able to tap everyone. This can only be done with your site would look and perform great regardless if it’s viewed on the computer, on a tablet, or a smartphone. Besides, with all your competitors, search engine optimization is very important. And great weight has been placed on a site’s mobile responsiveness, so this is crucial not only for the holidays but all year round. Tweak your site’s design and earn conversions this holiday season! This holiday season, a lot of sales can potentially be realized if only you put in the right effort to win them. Among the most important areas to do this is your site’s design. 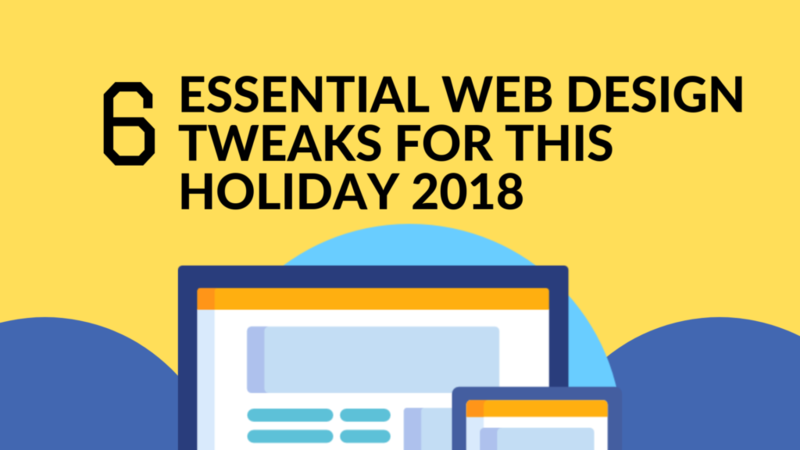 The tips above are six of the essential design tweaks that you should make sure your site should have. 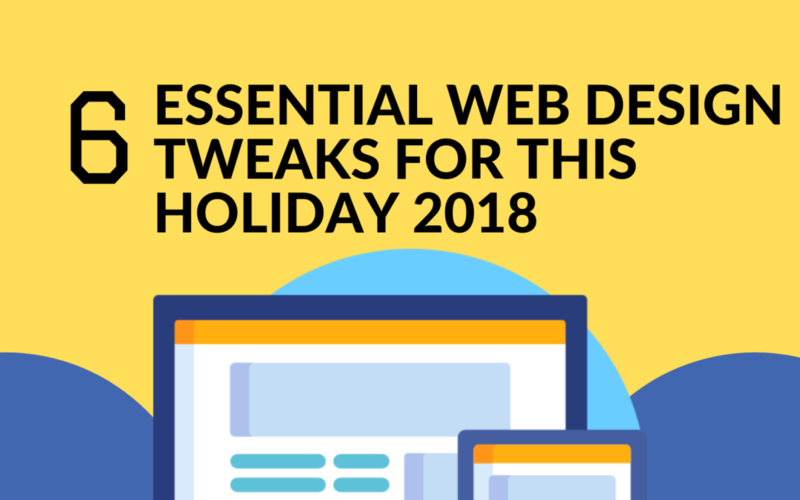 So work on your site’s design now and make sure to make do it right so that you can make a lot out of the holiday season. 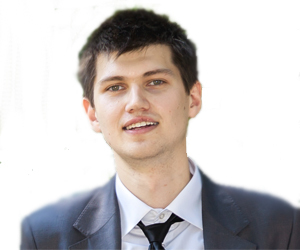 Author Bio : Jack Poyntz Studio (Web Design Derry) is a web design company and certified Shopify Experts. They are focused on delivering creative website solutions to help ambitious companies grow online. They embrace new challenges with a desire to help their clients achieve success.